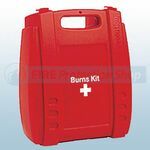 Fire Protection Shop supply a range of different sizes of Burns Kits, all of our Burns Kits are supplied with a range of products designed to provide effective treatment of burn injuries. Most of our Burns Kits include Burnaid burn dressings which halts the progression of the burn to minimise further tissue damage. Compliant with Health and Safety regulations, housed in a moulded case and can be easily be taken to location of casualty. 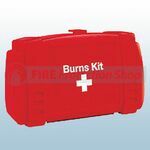 Also available is the Astroplast Burns Kit which is ideal to use to treat scalds, burns and sunburn in the home, on holiday or in the workplace.